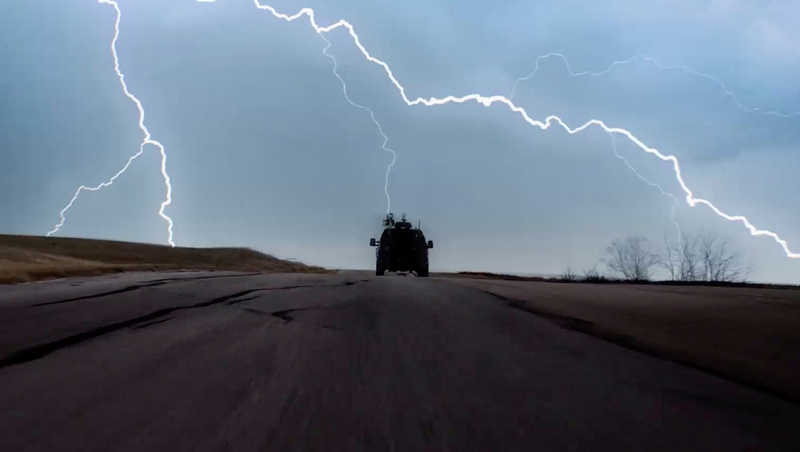 KXAS, the NBC O&O in Dallas/Fort Worth, Texas, has added the so-called “Texas Lightning Truck” to its arsenal of weather vehicles and is celebrating its new bundle of joy with an over-the-top promo — plus a custom song for the entire fleet. The Lightning Truck, joins, quite naturally, the station’s “Texas Thunder Truck” vehicle that has been on the roads for several years now. The new vehicle will be named for retiring chief meteorologist David Finfrock, whose name will be on its license plate. To promote the new vehicle, the station created a dramatic promo that features a deep, somber narration mixed with a mix of stylized footage that would give most car commercials a run for their money.